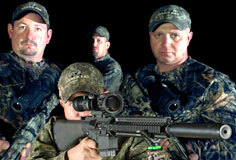 Each hunter will be issued a AR-10 semi-automatic rifle in .308 caliber topped with a military grade thermal scope. Hunters silently maneuver into the wind delivering .308 caliber sniper rounds to these big brutes. There is NO LIMIT on the number of hogs harvested per night! . 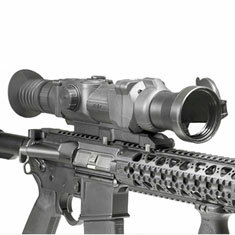 in thermal, night vision and hog control equipment? This unit has a 640x512 Focal Plane Array and a 17 Micron pixel size giving this scope a very high resolution in a 30 Hz FLIR Tau 2 VOx detector. The Zeus 3 is the lightest and smallest in their class. 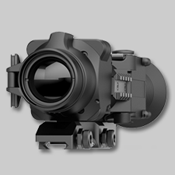 The Zeus 3 comes with a wireless remote switch to activate the thermal imaging weapon sight when positioned in the "standby" mode. The Pulsar APEX XQ50 Thermal Riflescope provides vivid thermal imaging from a 384x288 core, 17 micron pitch and crisp 640x480 AMOLED display. 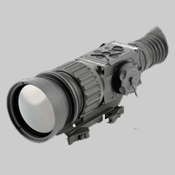 The XQ50 offers a 2.8x base magnification with 2x/3x/4x digital zoom and smooth digital zoom up to 8x. Featuring 3 zeroing distances, 10 reticles and 3 different operation modes, the APEX XQ50 can detect heat signatures from up to 1700m away. Two CR123 batteries allow APEX's a battery life of 4-5 hours, giving the operator plenty of time to get through a hunt. The REAP-IR 2.5x has the features and performance of the IR HUNTER Mark III and the size and weight factor of the IR PATROL. The REAP-IR truly is the best of both systems incorporating a 12 degree field-of-view lens with the new stadiametric range finder. 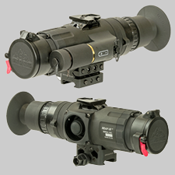 Having 2.5x magnification combined with the 640x480 resolution 12um micron LWIR thermal core in the small tactical package makes the REAP-IR ideal for Law Enforcement, Special Operations, Tactical Teams and border security.